Anyone who’s been out in the bright sunshine for a long period of time will know how important sunglasses are. It’s not just the UV rays that can damage your eyes, which is the area of main concern but having to squint for hours on end can make your face very sore, which is why getting the best outdoor sunglasses is vitally important. In choosing the best hiking sunglasses though there is plenty to consider such as their durability and comfort as well as that crucial UV rating, here we have developed a guide to explain all the features and why they are important. We have also completed hiking sunglasses reviews to show you the best products out there. Once you’ve read through this, you’ll know exactly what you want. Oakley are known for producing top rated outdoor sunglasses and that is no different with this model which is one of the best on the market. They are made from plastic and come in a great range of different color designs which all look great. They have a 100% UV protection coating to give you full sun protection and come in a case to keep your glasses protected. These glasses have a vast range of different options as they are available with different color frames and lenses. The mirrored lenses are scratch proof and have 100% UV protection. 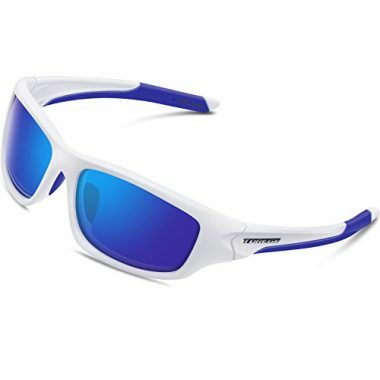 They are also polarized lenses which will stop you from ever straining your eyes. The frames are lightweight and durable so you are able to comfortably wear them for a whole day. Duduma have produced these great sunglasses for hiking which will also be great for many other activities too. The outdoor polarized sunglasses are going to give your eyes a lot of protection including full coverage from UV rays. These hiking glasses are very lightweight and stylish so not only will you look great, but they will comfortably fit for a whole day. 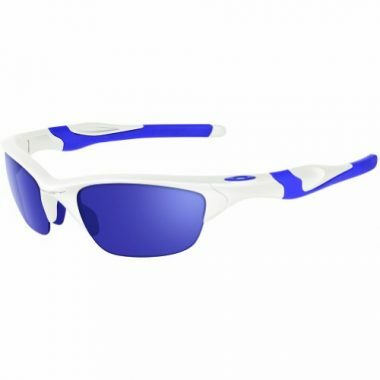 TOREGE are another company who have produced polarized sunglasses which will give you complete protection from the sun. 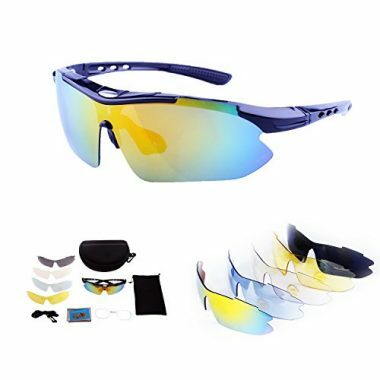 These sports sunglasses are able to give you protection during high-intensity activities but also work perfectly well as backpacking sunglasses too. They are very easy to wear with a soft rubber nose pad and are available in a stylish range of colors. 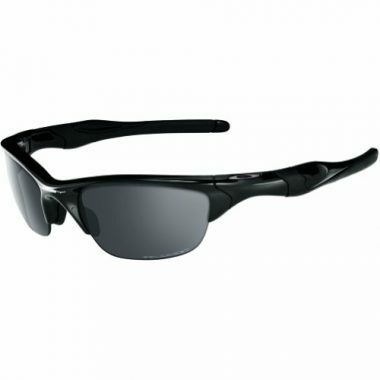 This is one of the most highly rated sunglasses on the market and another quality product from Oakley. They look very stylish and are made from a durable plastic to ensure they are not easily broken when you’re out there on a hike. They have full UV protection and fit very well on your face to ensure that you are able to have that sun protection in comfort. 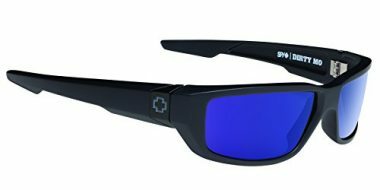 This is a brilliant product which comes with four interchangeable lenses with a clear lens, a night version, clear blue and black polarized to give you all the protection that you need. 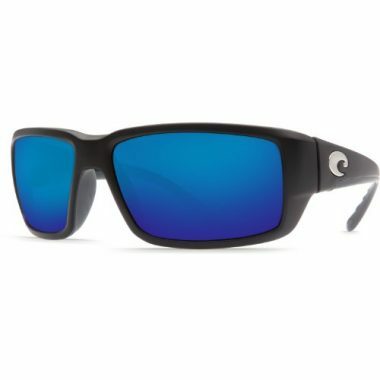 They are easy to change and all have the highest level of UV protection. 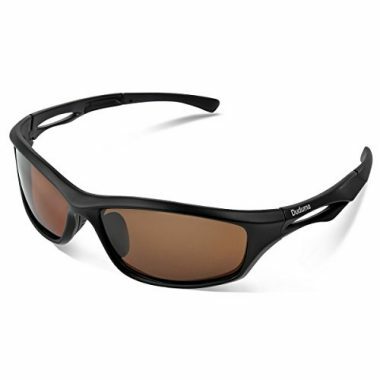 The sunglasses are extremely durable and also very light too and should be able to last you for a very long time. If you are going to be hiking at high altitude, especially through snow, then this could be the perfect product for you. It has removable leather sides which are going to be able to shield your eyes from bright light in your periphery. 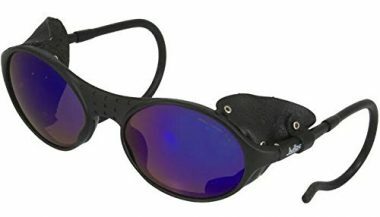 The sunglasses are shaped to have a secured fit around the ears and these sunglasses are the ideal solution for extreme conditions. These frames have a stress-resistant frame and give you a very high level of durability. They have a stylish semi-rimless design with lenses that give you full sun protection and are able to be swapped with prescription lenses. The frames are able to stay on your face and have components which will increase grip when they get wet. 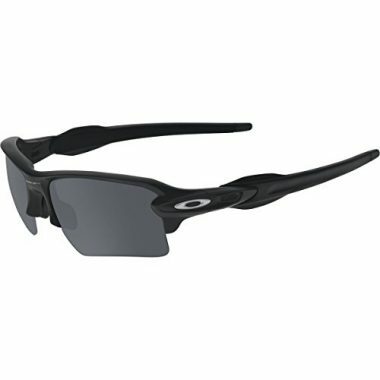 This is another product from Oakley which is highly popular. They come with iridium coated lenses which are going to be able to reduce your glare and give you the maximum amount of UV protection. They are able to cover the whole of your eyes and will offer you an incredible level of durability and comfort too making them a great pair of sunglasses. These glasses are another which comes very highly rated by those who have used them. They offer a high level of durability with 5-barrel hinges which are going to be able to take a lot of wear. The lenses have UV400 polarization which is going to be able to protect your eyes from the harmful light and also protect your eyes from glare. While the lenses are going to be by far the most important aspect when it comes to protecting your eyes, the things keeping your lenses in front of your eyes have to have a number of key features in order for them to be able to function in the way that you want them too. This is where companies will differ in their style and functionality and you need to make sure that you are choosing a pair which is going to suit you, as there are many different types out there. You do need to make sure that the frames are going to be a good fit though, which is important to check before you buy them. As with other aspects, the frames can be a personal preference but there are some key differences to look out for, such as the ability to hold detachable lenses which a few companies offer. Aside from that, you need to make sure that they excel in all the key features which we will go through here. Durability is a feature that people would want on any product. With sunglasses though, if you are hiking then you would need a higher level of durability than if you were looking for sunglasses to wear while you were at the beach or by the pool. It’s likely that they are going to get knocked and dropped at various times, therefore it’s important to look for frames which are going to be highly resistant to breaking and lenses which are going to be able to resist scratches and breaking. Often hiking sunglasses are more flexible and able to withstand more impacts than regular sunglasses. Using materials such as polycarbonate, or other high-quality compounds, will ensure their durability. Some companies even market their frames as unbreakable due to their level of strength. It’s always a good idea to look for a warranty, as that way you know a company is serious about their product. One advantage of having plastic frames is that they tend to be more comfortable than any other types as there is no harsh material pressing against your skin. With these sunglasses, there is no need to sacrifice comfort for style as even the most stylish brands are still able to produce comfortable eyes wear. Most companies will detail the specific dimensions of their sunglasses to make you fully aware of how they are sized. It’s important to check this as otherwise you could be left with frames which aren’t a perfect match for your face. To ensure that your frames are comfortable they will need to be light but additional features such as a soft rubber nose pad and them fitting correctly behind your ears are vitally important. The ear design to sunglasses can be quite different too, depending on their needs. If you are going to be doing a high-intensity hike then having glasses which will secure more tightly to your face would be ideal. The lenses are going to be the most important part of your sunglasses as the whole point of wearing them is to be able to protect your eyes. With the UV rating is vital in this, there is also the key decision to make as to whether or not you opt for polarized lenses or not. 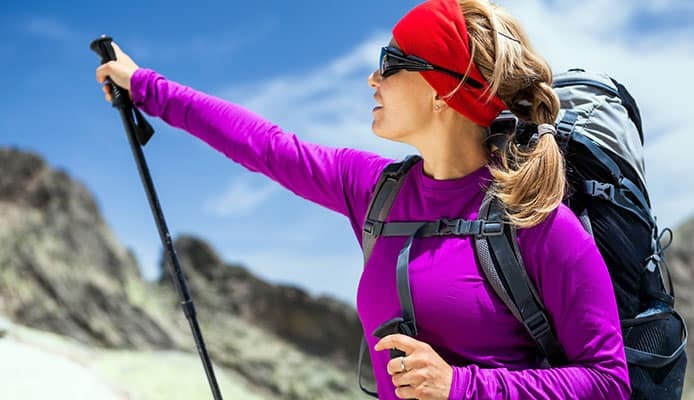 For hiking, it’s probably going to be the best idea to have polarized lenses as these will help to reduce any glare which can cause eye strain when you are out there in the bright sunshine. Polarized lenses do warp the light slightly but you’d only really notice this when looking at a modern screen. The material of the lenses isn’t really a key issue as you want them to be durable and they are usually made from glass or a polycarbonate material. While you can have a range of different colors on your lenses, this is more of a stylistic choice than anything. It’s important to choose lenses which are going to fit in with your specific needs. When it comes to the UV rating on glasses, they can be ranked in five different categories depending on their level of protection. 0 offers the worst protection with 4 being the best but the ratings for UV light are always hard to judge as there are very different wavelengths of light with some that you simply won’t encounter when hiking. In terms of which categories are best for hiking, you would need ones that sit in either 3 or 4. Category 4 offers the greatest protection but will have a very dark tint and therefore would be unsuitable for driving. Category 2 will give you some protection but not enough and categories 0 and 1 are generally just used as fashion lenses. The confusing part of the UV protection though is that you will often not see these categories listed on product descriptions. Instead you will often see a statement along the lines of “offering ‘100% protection up to 400nm”. The ‘nm’ stands for nanometers which is a reference to the wavelength. All you need to know is that ultraviolet (UV) light falls below this range, so 400nm will protect you from that light. Above that range is visible light, which you obviously want to pass through your sunglasses so that you can see. Therefore if your sunglasses offer you 100% protection up to 400nm, then that is exactly what you need. When hiking it’s likely that your sunglasses are going to come into contact with something which is going to potentially damage them. If you don’t have scratch-resistant lenses then you could quickly find that your glasses are no longer going to be able to give you the protection that you need. A scratch on your lens can not only affect the effectiveness of the sunglasses but it will also be a major annoyance and will most likely mean that you would have to buy a new pair of sunglasses. All top-quality brands will be able to offer this on their lenses and you need to make sure that the pair you want has it before you buy. When it comes to lenses it’s not just how good they are at not letting UV light through, it’s also vitally important that they are able to cover enough of your vision. If you are going to be somewhere very bright then you will need more protection in your peripheral vision than you would do in other circumstances. In order to do this most sunglasses will start to curve with the shape of your face so that most of your eyes are covered from any harmful rays. It’s a good idea when you’re hiking to get wider lenses and if you’re hiking on snow, then it is vital. Products such as the Julbo Sherpa Glacier sunglasses actually have leather covers on them to block this peripheral light. The weight of your sunglasses shouldn’t be underestimated when it comes to how easy they are to wear. Having heavier eyewear can quickly make you feel very uncomfortable, especially if you plan on wearing them for a whole day of hiking. 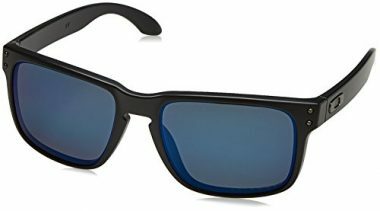 Thankfully these modern sunglasses are usually designed with materials that are very light and able to rest on your face without you hardly even feeling them. Having plastic frames instead of metal is a great way to ensure that they are going to feel light and comfortable on your face. The design of your glasses is going to pay a large role in your buying decision as, even though you want the protection that they offer, they are seen as a fashion item by many. Here we have featured some of the top brands which are known for producing stylish eyewear. With a lot of these sunglasses they have a large number of different styles and designs on offer which should make it fairly easy to be able to choose a pair which is going to match your personality. They also have different features such as semi-rimless frames and curved lenses depending on your preference. Q: How Important Is To Have Polarized Lenses? A: The importance of polarized lenses depends on the situation that you are going to be in and how much glare that you are going to encounter. If your eyes are going to be directly in the sunshine when you are outdoors then it’s probably going to be a good idea to have polarized lenses. When you are hiking, the glare that you encounter can be quite high and polarized lenses will be able to take most of that glare away and leave you with a clear vision to be able to find your path ahead of you. This is especially important in snowy conditions where the glare can be incredibly bright. The negative part of polarized lenses though is that what you see is a slightly altered reality as the lenses will alter the light that is coming into your eyes. This only really affects you when looking at LCD and LED displays though where you will be able to simply take your sunglasses off. Q: How To Care And Store My Hiking Glasses So They Last Longer? A: As with any glasses, it’s important to take care of them to ensure that they are able to last for a long time and not to succumb to any accidents or bag placement. The easiest way to protect your sunglasses is by having a case in which to store them. It’s likely though that you wouldn’t want to take a hard case out with you when you are hiking due to the space that they take up. Thankfully high-quality hiking sunglasses are highly durable and able to cope with not being in a hard case. That being said, it would still be a good idea to place them in a soft case as this would help protect the lenses from any scratches or damage when they are in your backpack. You also want to store them in a place where they won’t get crushed such as the bottom of your backpack. 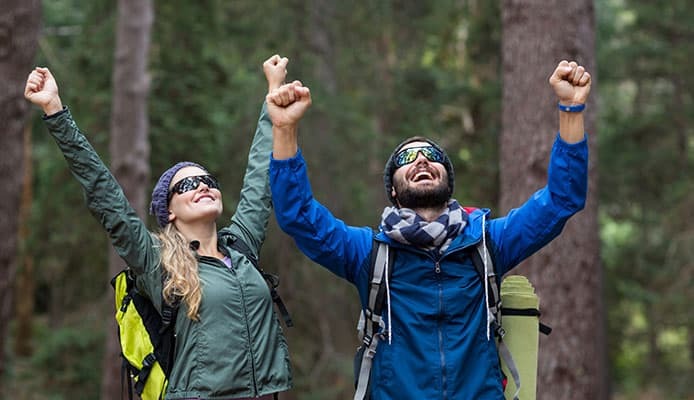 While protecting your feet by getting great hiking boots might seem like an obvious way to have a comfortable hike, protecting your eyes is also hugely important too. UV rays are harmful and too much of them can start to cause permanent damage. It’s not just the eye damage too, straining your eyes to avoid glare can make your face muscles sore and also give you a headache. Having that protection is also an important part of having a comfortable day out hiking when the sun is shining. In order to protect your eyes, you want to ensure that the lenses will be able to block any harmful UV light and polarized lenses are going to be able to reduce any glare, enabling you to see properly without squinting. The most important part of sunglasses is the protection that they give you which some people seem to forget when they are looking at the style. The style is also going to be important of course, as everyone wants to look good but you need to make sure other boxes are ticked first. You also want to make sure they are durable with aspects such as scratch resistance and you also want them to be comfortable to wear and light on your face. 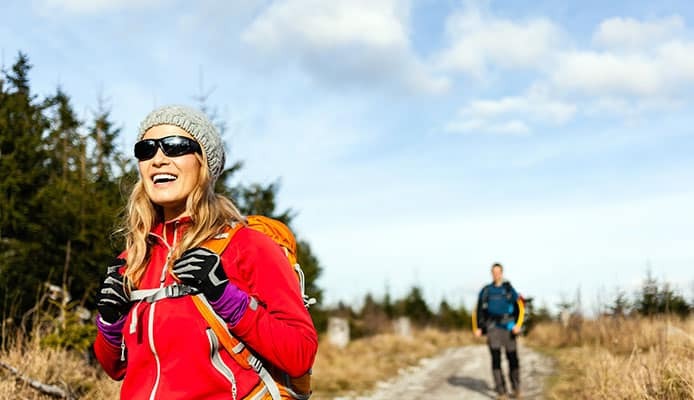 Once you have made sure that your sunglasses have all the required features, you’ll be able to go on your hike knowing that you’re fully protected. Hopefully this guide has been able to give you all the information you need in order to choose the perfect sunglasses for you.